Yet another South African Fashion Week (SAFW) has come and gone. With the popularity of African prints in recent years, we have seen more creative use of African-inspired garments of the SAFW runways. More than that, the SAFW designers have certainly increased the quality of their designs since its inception in 2001. Here’s a list my favourite designs for AW17 collections. Read on to see why. – The ready-to-wear pieces like the midi skirts and cropped printed top are breathtaking. – The daring yet sophisticates print works well with the corporate style. – The A-line cuts work well, the skirts are neither puffy nor chunky. 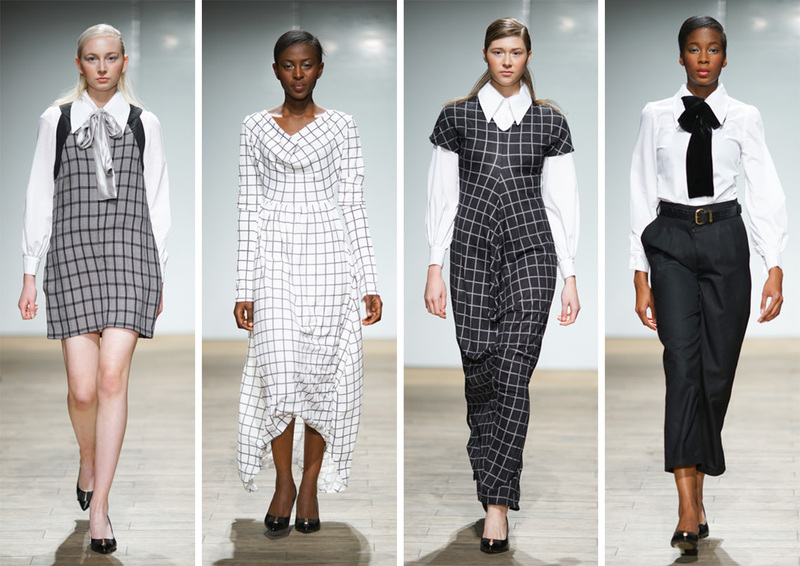 – These monochrome colours paired with the plaid pattern make gorgeous ensembles. – The culotte suit is an interesting twist to the traditional suit and it screams power. – This school girl look (the first picture) is my favourite in this collection. – The shades of brown work well here, and as it is appropriate, gives a nice warm feel. – I am really liking the high waist and the asymmetrical look. – The best piece for me in this collection is the off the shoulder peplum top. The frill cut has also been trending this year. – The African reference in the second look makes an interesting finish on the pockets. – Here the skirt of the second look took my breath away. I absolutely love the cut and shape of this skirt. – I am also intrigued the leather looking chest straps, it gives a ‘ready for action’ sense. – I love the textured prints and fabrics from this collection. – The second look here is my favourite from this collection. I love it when designers innovate when it comes to African inspired pieces. Sungoddess did a good job with that here. I hope you enjoyed this post. Let me know your thoughts in the comments. Next African print gym wear!